Ingrid LaFleur is an artist, curator, pleasure activist, cannabis advocate and founder of Afrotopia, a creative platform that looks for ways to implement afrofuturist principles. She is also a very emphatic and supportive native of Detroit. In fact, in 2017 she ran for Mayor and created a plan of action that included radical thought, innovative ideas and solid brilliant logic. She’s doing the work, gently and joyfully crafting a future of conscious co-liberators, decentralized power and decolonized minds. Watching my maternal grandmother set fresh baked fig pies on the windowsill to cool as I sat on my grandfather’s knee sipping his cafe au lait made from chicory coffee. The sweet memories of Louisiana creole life on the family farm. Let your passion guide you. Money will follow, so never worry. I write in a large red Moleskin journal or I write in the Notes app on the iphone. I love crystals and their healing energy. I make sculptures out of them and then meditate trying to cull their energy. I’ve put down books opting instead for reading articles on blockchain and EOS. My favorite book is Who Fears Death by Nnedi Okorafor. One of the best examples of Afrofuturism. I have several: Le Petit Zinc, Ima, and Savannah Blue. My computer, evian water, sculptures I’ve made and books from the family library. 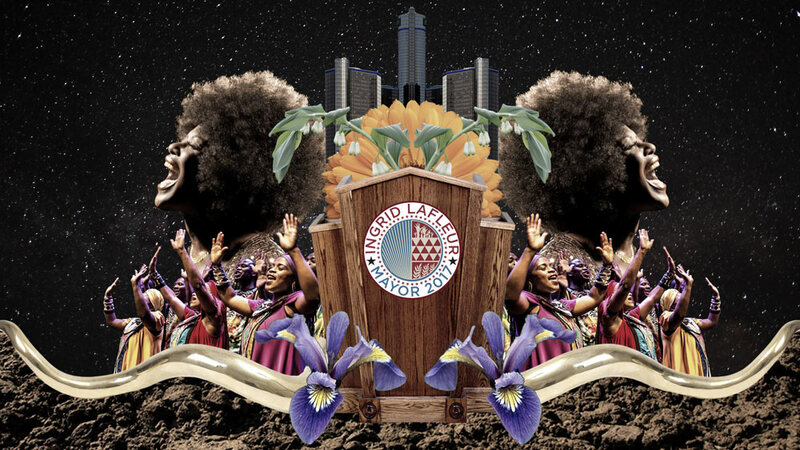 My favorite endeavor that still inspires me and drives my work today was running for mayor of Detroit. I feel a deeper connection and commitment to Detroit as a result of that experience. I will always be grateful for the opportunity to share my vision for Detroit. It’s carved a new path of justice practice for me. My eyes are still on the prize, ensuring a better quality of life for Detroiters and humanity. Follow Ingrid's journey and see more of her work at ingridlafleur.com and AFROTOPIA.com and follow her on Twitter, Instagram and Facebook. Clever is produced by 2VDE Media. Thanks to Tai Navares and Alex Perez for editing this episode.